With my friend Tommy on the island of Gotland I did some test when we were having hangout (video call). Our simple tests were done when I switched between Chrome and Firefox. 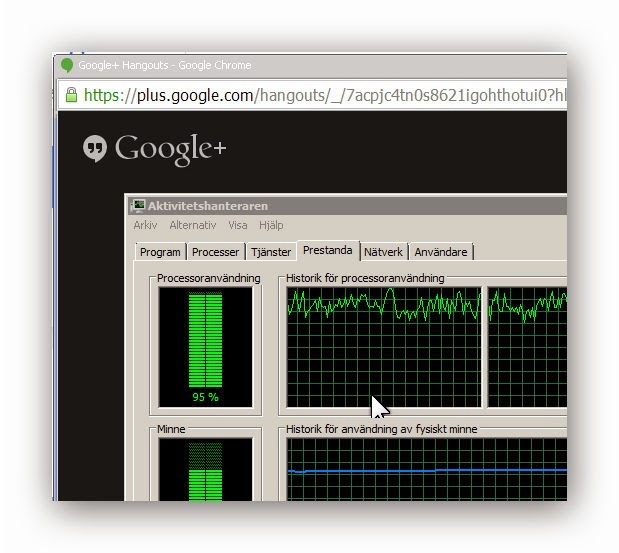 When I used Chrome CPU-useage was about 90%. 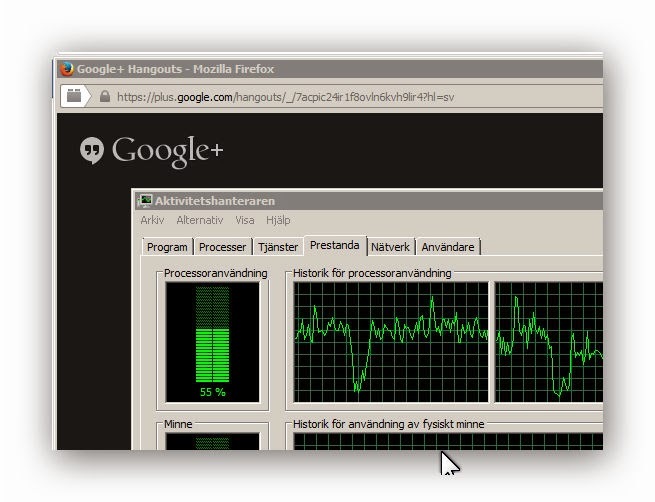 When Firefox was used as "frontend", the CPU dropped to about 60%. I believe I heard a rumour that even Google recommended the use of Firefox when doing a hangout! I would welcome views on this comparison. If you want another "front-end" videoprogram like Wirecast, XSplit or the Open Broadcaster Software you definitely need that extra CPU%.